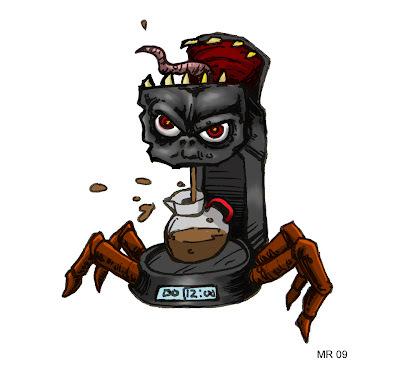 Another tsukumogami, this one born from a kitchen coffee maker. He's constantly wired, up all night, jittery and nervous. He as automatic brewing functions that no one uses or can even figure out. However much he may splash or overflow he has our loyalty, because we just can't face the morning without him. We salute you.